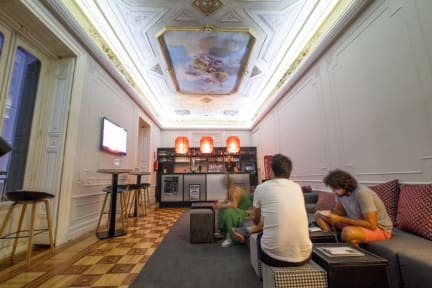 In TOC Property Madrid you will feel in a unique property with a fabulous interior design that will make your stay cool and unforgettable. Whether you want a private room or just a comfortable bed in one of our shared dormitories you’ll find the perfect accommodation for your budget. You will find the most advanced technology in security, with fingertip keys, 24 hours reception, security cameras and other facilities such us a free wifi access, bar & restaurant, kitchen, communal lounge, games zone and much more! 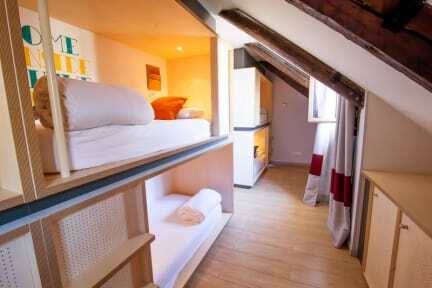 We have a wide range of room types, private or shared, in case you come alone, as a couple, with family or friends. If you like to meet new people from around the world and you are a social traveler you can choose our 8 beds and 6 beds dorms, with comfortable bunk beds and big lockers to store your luggage. If you are a group of maximum 4 friends or a family and you want some privacy, we have 4 beds rooms that will let you relax and enjoy our city in an unforgettable way . Check in from 15:00 to 02:00 .